Yes, that was me from a month or two ago. I was supposed to have gone ahead with the powe line upgrade, but putting it on hold for now till I have confirmed where exactly I wish to place the amp system. While I have nailed down the speaker locations, I’m still on the fence over where to finally park the amp. 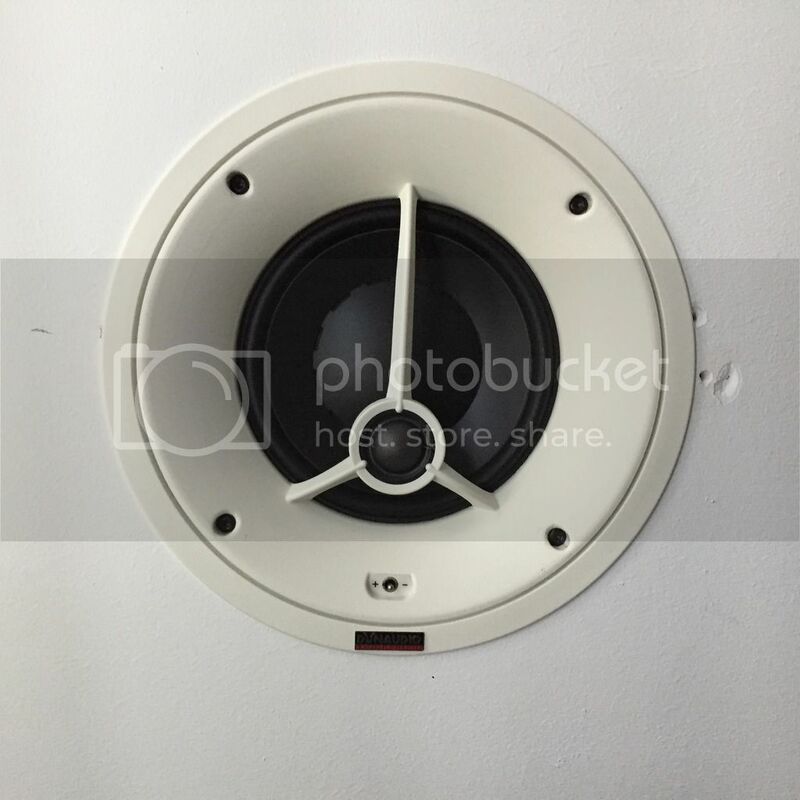 One leaves it dead center but leaves the cables exposed in the front, the other will lead to a cable coil behind the amp for one speaker side due to the asymetrical placement. So for the moment, I’m still using the standard wall outlet with some cheap power cable I found for cheap off Taobao. Once I finalise all my equipment placement I intend to just change all the power lines to acrolink. So both speaker cables and power lines will be acrolink for continuity. I strongly recommend to look into a power conditioner follow by PC follow by IC follow by SC. Combined they make a HUGE difference. A good pair of speakers will reveal issues from the upstream and everything in between. 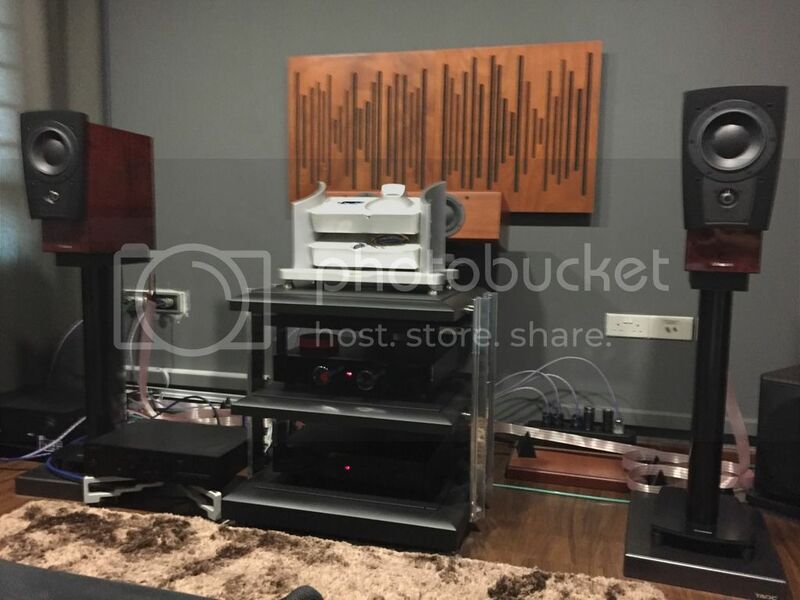 All my PC and IC from Audience and nothing too fancy about them but it works well on both Dynaudio and Sonus Faber. 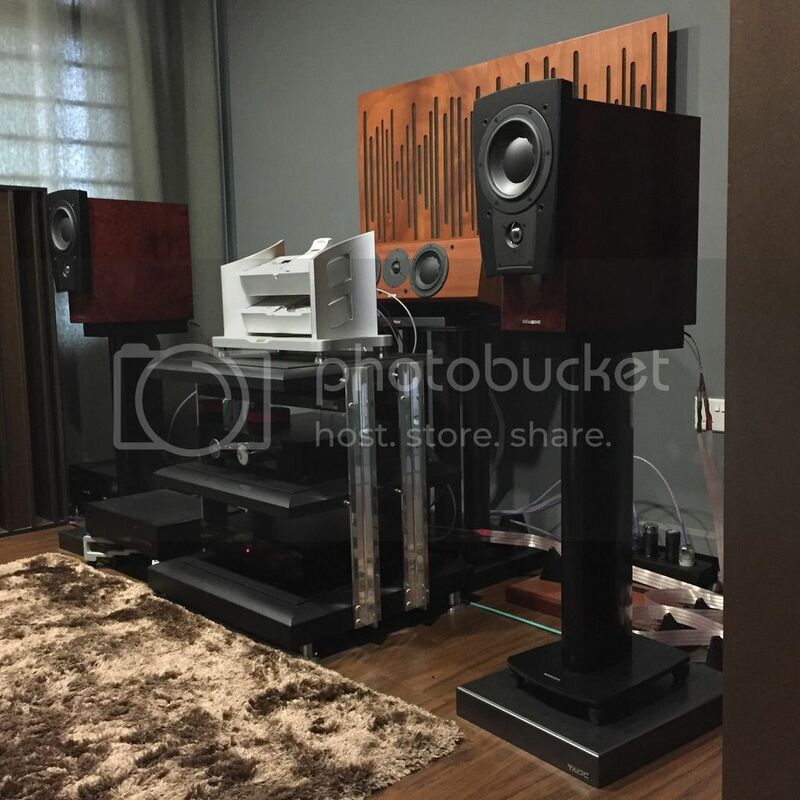 My 5.1.2 Dynaudio speakers collection. I am happy with the sound & enjoy it (stereo) almost every night. 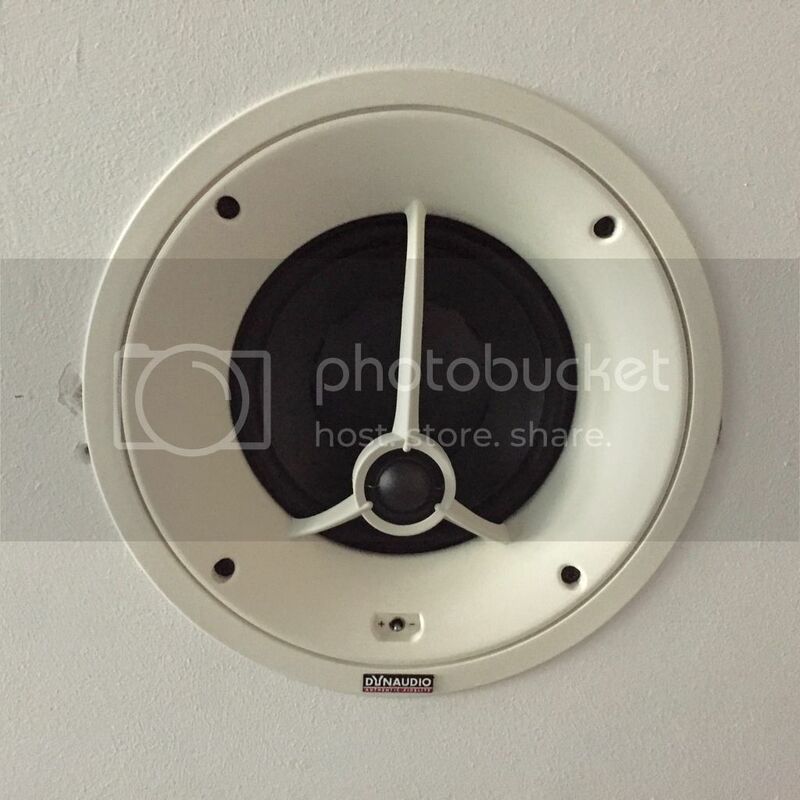 Next upgrade will be the center speaker. Yea, more or so but I had the Focus 160 which I remembered clocking and it takes about 500 hrs or more to sound their best!! The S40 takes lesser time to break in as far as im concerned. I m wondering if the daily amount of hours we played a new pr of spks from beginning affects the number of hours to run in. For instance, 2-3hrs daily, 500hrs to run in, if 8-10hrs daily, it will ran in by 300hrs? It is not the hour per say that determine the hours of final running in time but the content of music or noise. 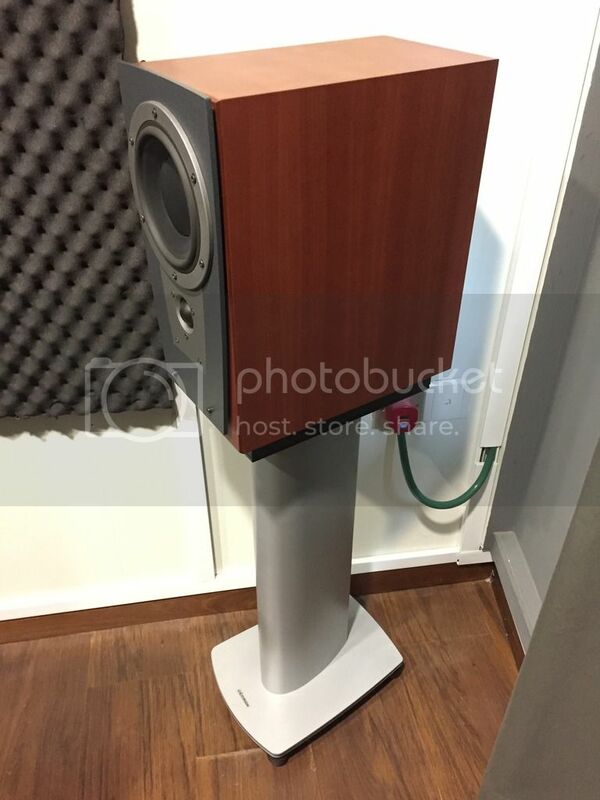 I have had similar experience with my totem forest which a similar driver as dynaudio. I use to play Beethoven symphony No. 9 at about 9 oclock before going for my morning walk/breakfast and that morning exercise for the speaker will shorten the run in time with the rich hamonix content of the music. Other time I just use a cheap transistor slave amp to play tuner at off station(white noise) when I am out for half a day by using its wide band width. A lot got to done not just to run in the surround but mostly to relax the polymer cone. 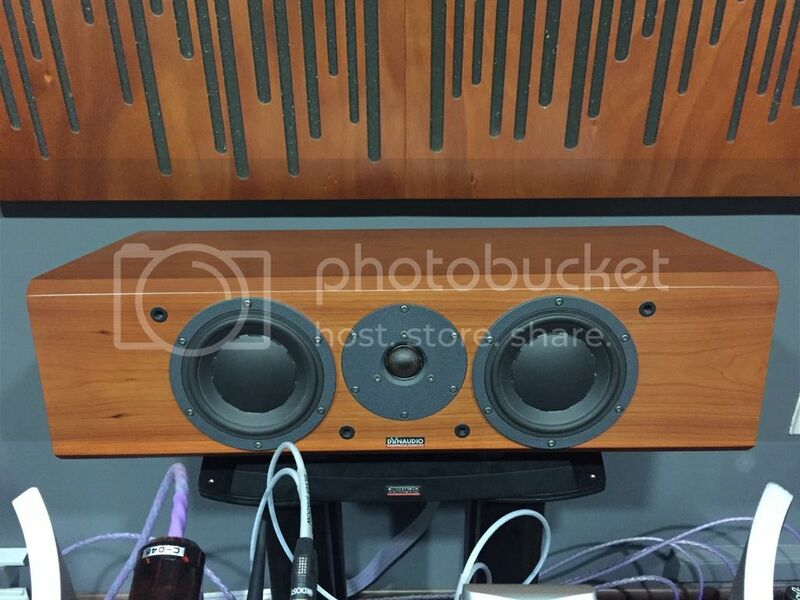 Apparently, the Forest uses a HiVi driver that is made as a knock off to the Dynaudio woofer. The similarities were the material MSP and the 3” voice coil. I guess your analogy makes more sense than mine. Thanks for sharing. 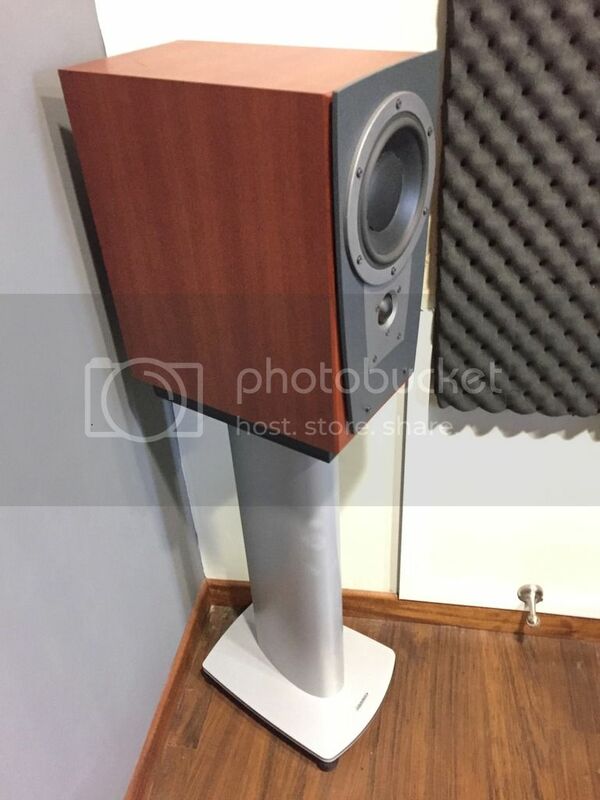 Hi everyone, I've just purchased the S40 with Stand 6 and as this is my first Dynaudio, I wonder how I can build up my setup from here onwards. I listen to quite a range of music from jazz, vocals, rock and pop. I love the sound of tubes but the good ones are really expensive. Rhythm and pace is important to me. 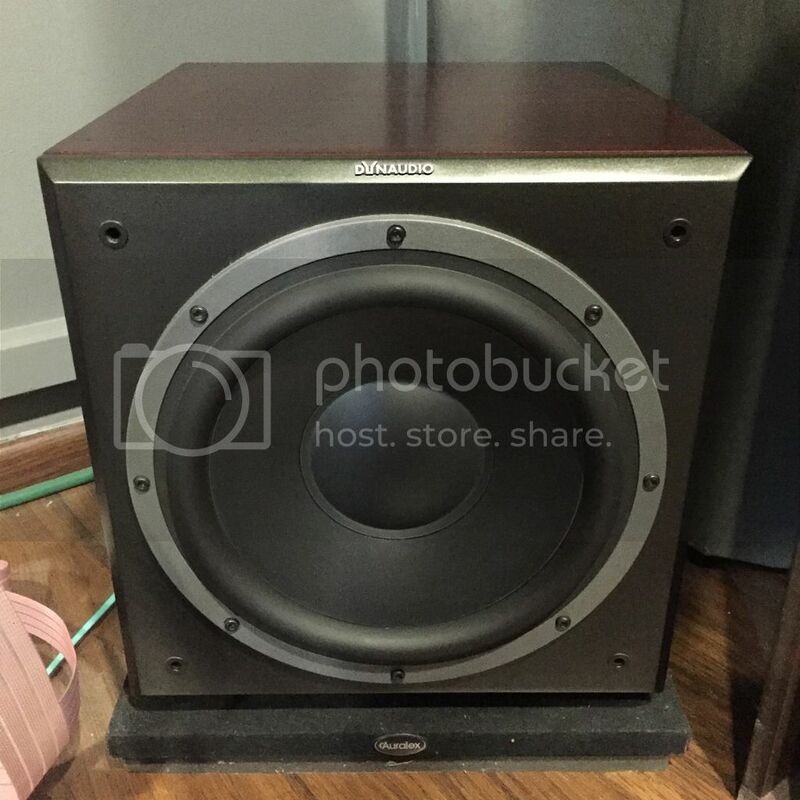 So I am contemplating on a tube pre, SS power amp if budget permits. I'll likely be getting the Avid Ingenium PnP TT this weekend. Also getting a Nagaoka MP-110 cartridge. So I guess my real question is, how should I start? With a budget of 2k, I don't mind second hand equipment in the amplification department. 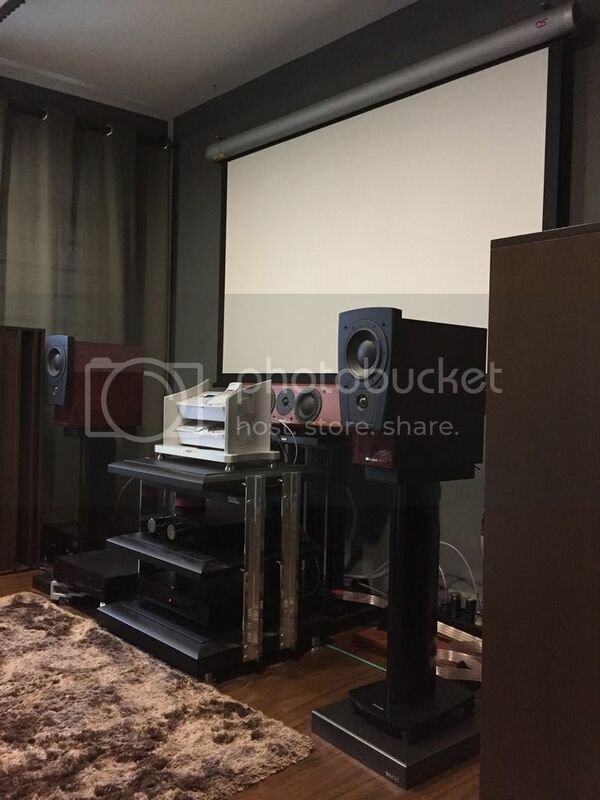 Was quite interested in Schiit Freya with Naim NAP100 combo.. Check that the pre-amp can amplify the 5mV output of the Nagaoka to a sufficient enough level to drive the power amp. Otherwise you will have to invest in a phono stage. Phono stages add typically around 40dB gain for MM cartridges. The alternative approach is to get a hybrid (tube pre section with SS power section) integrated amplifier with a built-in phono stage. May I know what was wrong? That kind of money you can rework the xover!